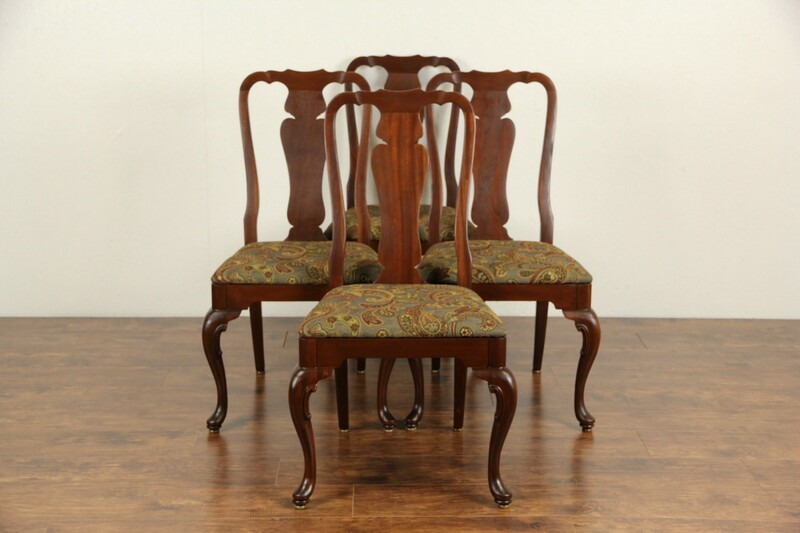 A set of four solid mahogany dining or game table chairs were carved in classic Georgian style about 50 years ago. The satiny finish is in excellent condition. This American made vintage furniture has lost its maker's signature. Strong and tight, seats have been newly upholstered. Size is 23" wide, 22" deep and 39" tall, seats are 19" tall.